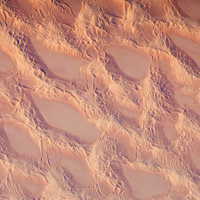 Deserts are known for being desolate and lifeless, but they are also quite striking and beautiful, especially when seen from above. 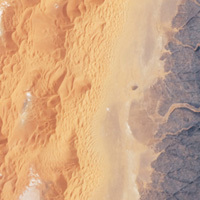 Different types of sand, topography, wind and climate combine to form a tremendous variety of landscapes. 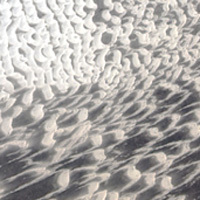 Shifting dunes are carved into an endless number of constantly changing shapes. 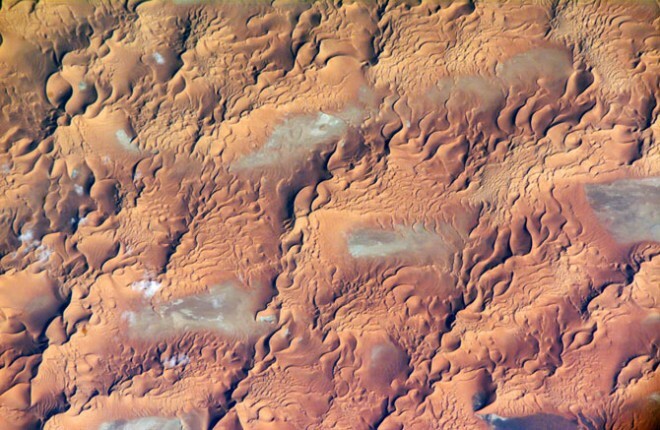 The images in this gallery, taken by orbiting astronauts and satellites, show some of the most beautiful, most haunting, biggest, rarest and most stunning desert vistas on Earth. 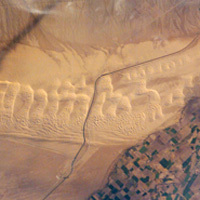 The Issaouane Erg covers almost 15,000 square miles in eastern Algeria. 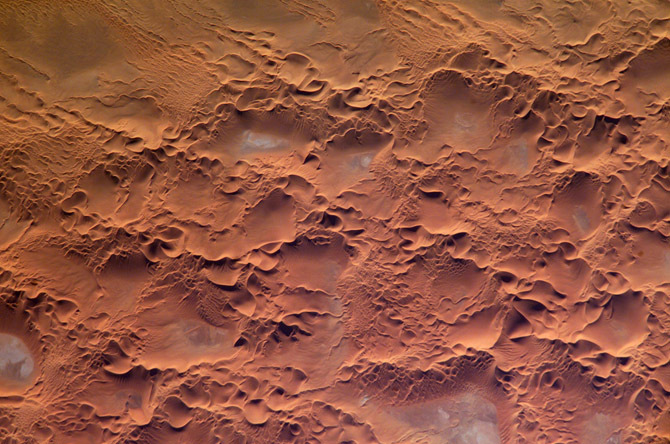 This sea of sand in the central Sahara desert has three different scales of dunes. 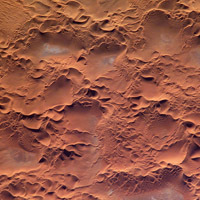 Mega-dunes, also known as draas or whalebacks, form over hundreds of thousands of years and can be several hundred miles long. 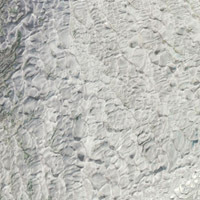 Mesoscale dunes form on top of the mega-dunes, and move on decade time scales. 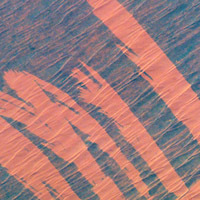 Smaller dunes form on and around the larger dunes. They are sculpted into different shapes by the wind, and are constantly shifting. 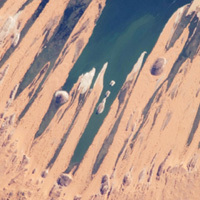 In the image above, captured by astronauts on the International Space Station in 2005, mesoscale dunes have been shaped into star dunes that look a bit like starfish and crescent dunes. 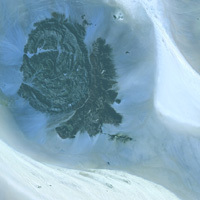 In the image below, taken by astronauts on the ISS in 2006, the large, rolling shapes are mega-dunes. 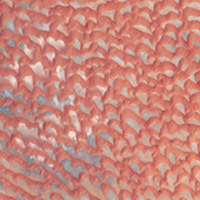 The smallest dunes show up as wrinkles alongside larger dunes. 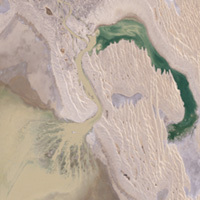 Click on any of the gallery images for high-resolution versions.